Following an entertaining Saturday afternoon of match-ups, the Crédit Agricole Suisse Open Gstaad final has been set. 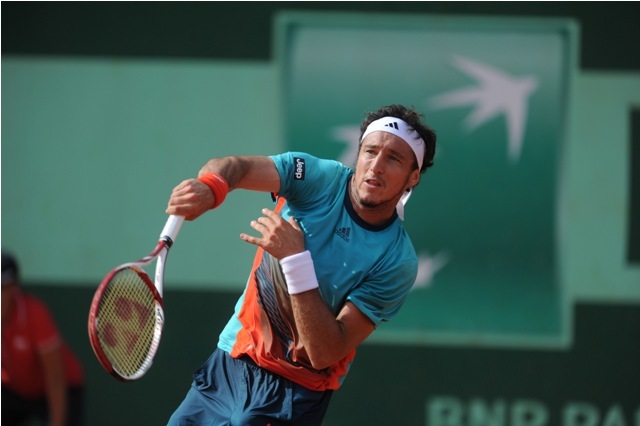 Argentina’s Juan Monaco will meet Spain’s Pablo Andujar for the title fight. This marks the first time these two competitors will cross paths on the professional tour and should be an interesting encounter. The world No. 105 has had a fantastic week in Gstaad and is now through to the final of the ATP 250 event following a straight sets victory over Robin Haase. Although Monaco didn’t need to do the distance against his Dutch opponent, it was a struggle at times, as he went 0-3 down in the opening fame and then 0-2 down in in the second set before recovering with a strong tiebreak to close out the contest in 1 hour and 44 minutes. 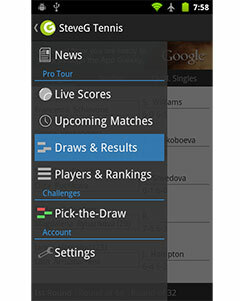 “At the beginning I didn’t play well and he led 3-0,” Monaco told ATPWorldTour.com. “But I got into the match. I got rhythm and was in control. In the second set, I got a bit nervous as this is my first semi-final of the year. At the end, I relaxed and played my tennis. I am happy to have reached the final. I did not play after Tokyo [last October] for two months. It was not easy. I could not play the way I wanted to. I am happy now that I am in good shape. The victories will come.” Monaco has experienced back, wrist and ankle injuries in 2014. The Argentine is now through to his 19th ATP World Tour Final and will be in the hunt for his ninth title on the tour. He holds an 8-10 record overall in finals. Pablo Andujar toppled Fernando Verdasco in three sets to reach his first final in over two years. The Spaniard could have done secured the victory in two sets but a lapse in focus would see Verdasco force a deciding set. Andujar once again showed fantastic self-command and breezed through the final frame to close out the match 6-3, 6-7(2), 6-1. Andujar is now through to his sixth final on the ATP World Tour, and his first since Casablanca in 2012. He holds a respectable 2-3 record in finals and will be looking for his third title on Sunday when he meets Monaco. He will be faced with a tough contest, as the Argentine is playing some solid tennis this week and is at his best on clay.